Telugu actor Nithiin's upcoming film, A Aa, is slated to hit the screens on 3 June. The film, touted to be a complete family entertainer with all the mainstream elements of romance, ​dance, songs, revenge and emotions, is the first release of 2016 for the young Telugu actor. A Aa has been produced by Suryadevara Radhakrishna under the banner of Haarika and Hassine​ ​creations. 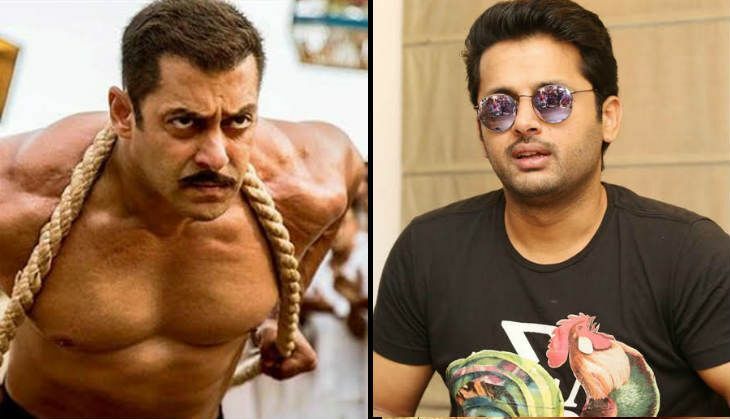 Nithiin, who has wrapped up the promotional work for the film, recently watched the trailer of Salman Khan's upcoming film, Sultan. The wrestling drama, slated to hit the screens in Eid 2016, is one of the most anticipated Bollywood films of the year.